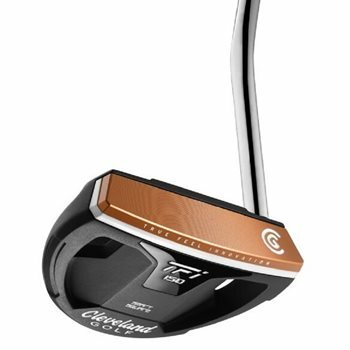 The Cleveland TFi Iso putter features the highly successful Smart Square Dual Axis Alignment technology with two parallel lines to frame the ball perfectly, as well as two perpendicular lines that provide instant feedback if the putter is misaligned. This results in faster, more reliable alignment on every putt. The TFi, True Feel Innovation, also features a new milled copper infused face insert on top of a copolymer insert for a soft feel and consistent speed across the face. The design of the TFi putters increase head MOI for better stability and minimal distance loss on mis-hits.